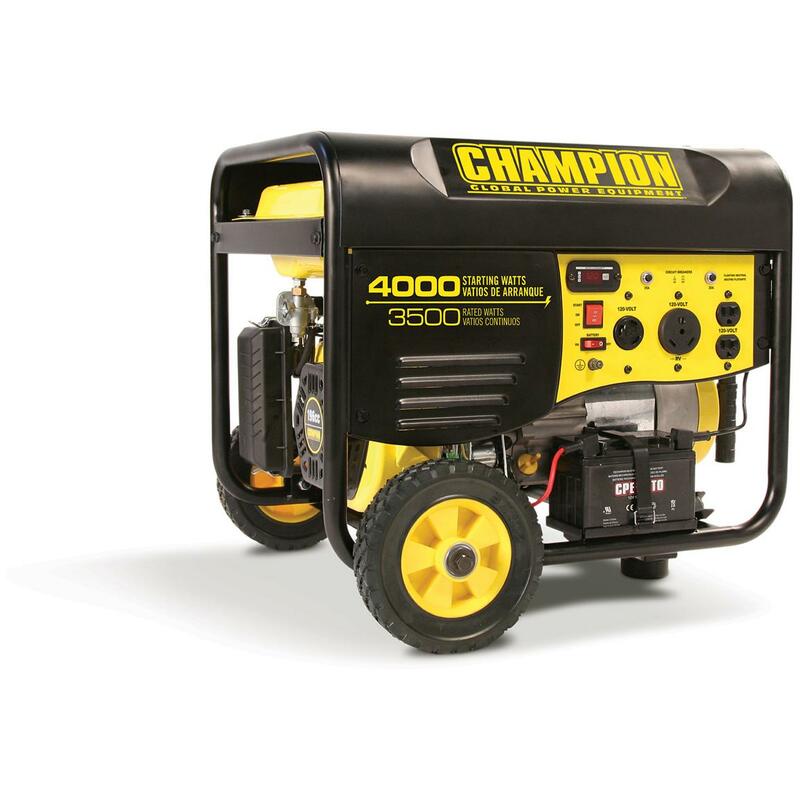 Champion Power Equipment Portable 3,500 / 4,000 - watt Gas - powered Remote Start Generator. Wireless remote control start. And reliable, portable power for your home, campsite or jobsite. Start this Generator from the comfort of your home, campsite or RV with a wireless remote control that works up to 80' away. How about that for ease? (And for even more ease, there's a Wheel Kit with 8" never-go-flat wheels so you can tilt this baby and move it around with no effort.) Unit provides dependable, portable power for your home, campsite or jobsite, plus back-up power at home during an emergency. Powered by an 196cc Champion single cylinder, 4-stroke OHV engine producing 3,500 running and 4,000 starting watts. Equipped with integrated auto-choke for true, 1-touch starting. Runs up to 12 hours at a 50% load. Engine has low oil shut-off sensor that guards against engine damage. EPA-approved for 49 states. 24 7/10 x 23 9/10 x 21 4/5", weighs 126 lbs. Move on this one! Order this Generator ONLINE today!